Note: Departures in February/March are in reverse, Ushuaia to Montevideo, contact us for details. Day 1: Montevideo, Uruguay Welcome to Montevideo, the capital of Uruguay. The southernmost capital city in the Americas, Montevideo is often described as a "vibrant, eclectic place with a rich cultural life." Upon your arrival at the airport we provide a transfer to your hotel, which has been arranged by us and is included in the price of the voyage. For the rest of the day you are free to explore this welcoming seaside city. Day 2: Embarkation in Montevideo We provide a group transfer to the pier and welcome you aboard the luxury expedition ship M/V Sea Spirit. Explore the ship and get comfortable in your home away fr om home for the extraordinary adventure to come. Savor the anticipation of your Antarctic dreams coming true as we slip our moorings and sail toward a true wilderness where wildlife abounds. Day 3-5: South Atlantic Ocean Sailing south through the South Atlantic Ocean toward the Falkland Islands, we keep a lookout for dolphins and whales. Presentations and workshops by our expert staff, as well as our range of onboard recreation facilities, ensure that these days at sea are not idly spent. The ship’s stabilizing fins provide comfort in the event of rough seas. Day 6-7: Falkland Islands The remote and sparsely populated Falkland Islands are a birders’ paradise. We anticipate visiting one or more of the isolated outer islands where large colonies of penguins and albatross are easily accessible. 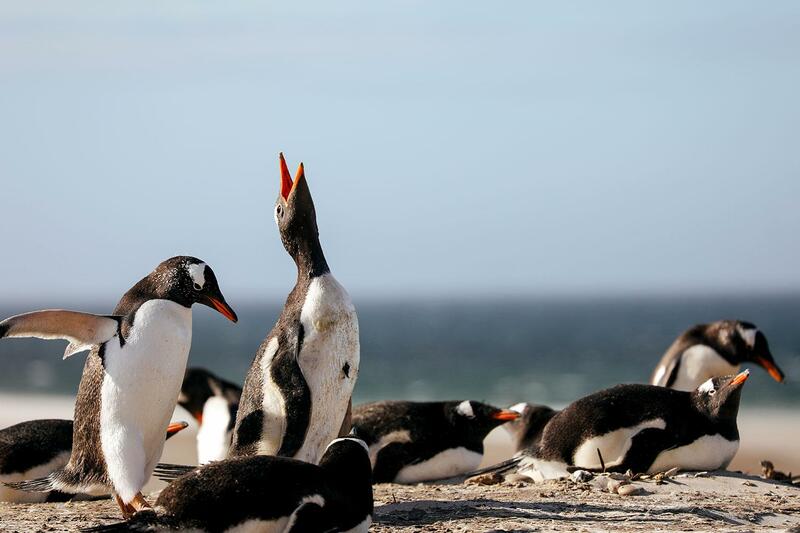 The Falklands are also a great place to observe marine mammals. Fur seals and elephant seals can be found on sandy beaches while the waters in and around the archipelago are home to various whale and dolphin species. Our route and exploration opportunities are dependent on weather among these windswept islands. 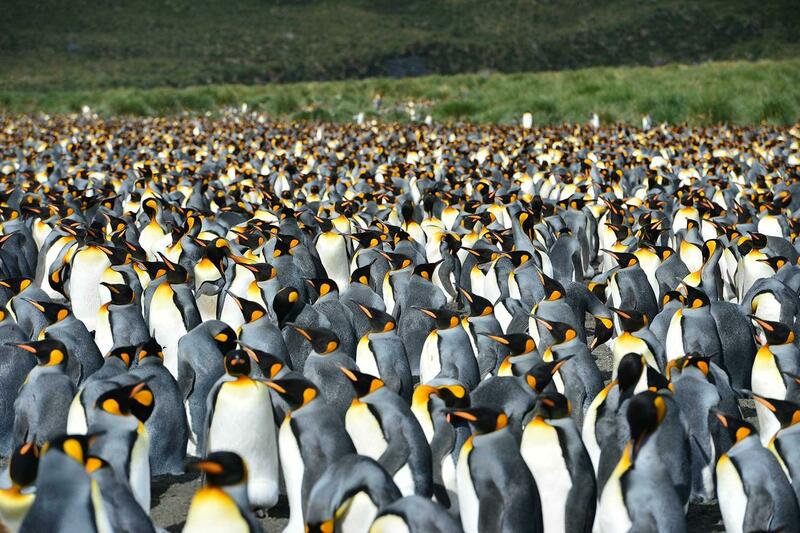 We also intend to visit Stanley, the charmingly British capital of the Falkland Islands. 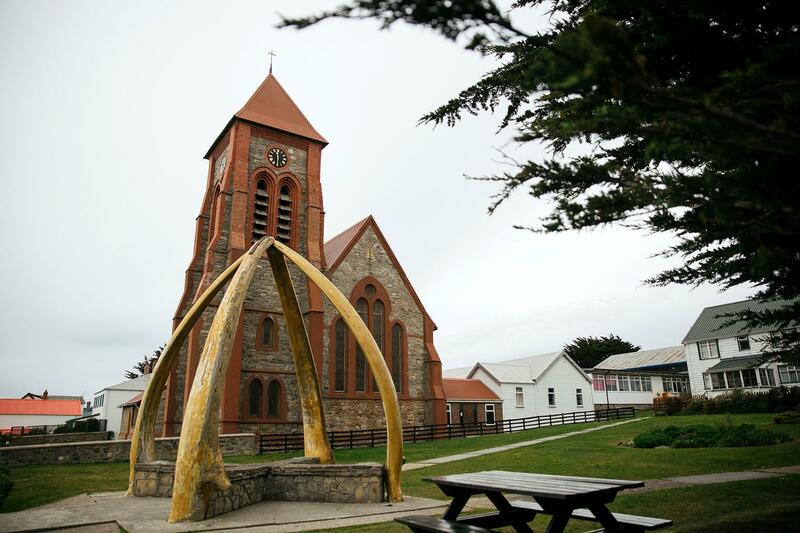 Attractions within pleasant walking distance along the waterfront promenade include the Falkland Islands Museum, the governor’s house, a cathedral with impressive whalebone arch outside, a war memorial, quality gift shops, pubs, and views of shipwrecks in the harbor. Day 8-9: Southern Ocean From the Falkland Islands we head east toward South Georgia, passing the remote, seabird-covered pinnacles known as Shag Rocks on the way. We also cross the Antarctic Convergence, the biological boundary of the Southern Ocean. Briefings, bio-security procedures, and lectures from our staff prepare you for our arrival in South Georgia. Day 10-14: South Georgia South Georgia the premier destination for subantarctic wildlife viewing in a supremely scenic wilderness environment. 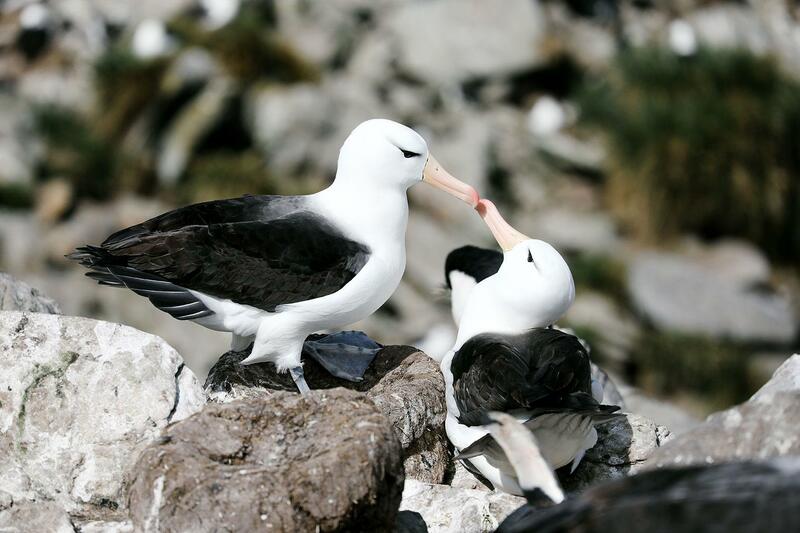 The islands are said to host upwards of 100 million seabirds, including numerous species of albatross, penguins, prions, petrels, and terns. 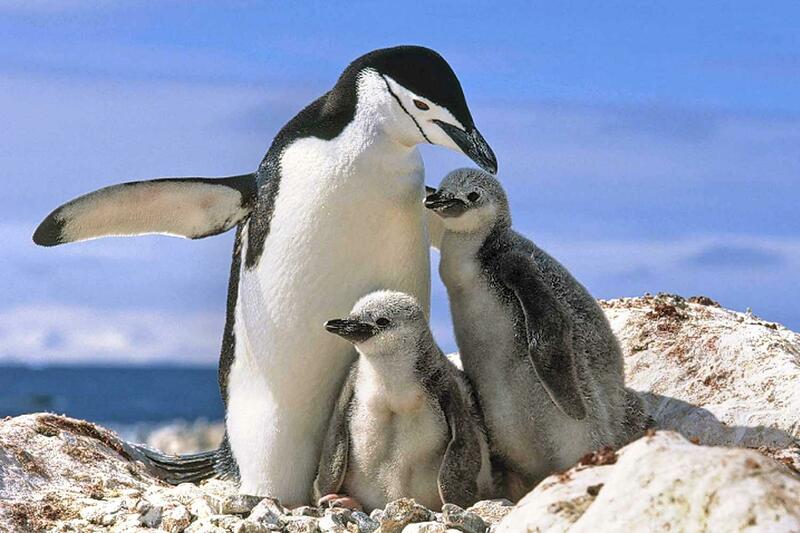 On beaches such as those at Salisbury Plain and St. Andrews Bay, over 100,000 elephant seals and three million fur seals jostle for space among innumerable penguins including stately king penguins and sprightly macaroni penguins. The recently completed rat eradication program is sure to make this wilderness even more pristine and rich with birdlife. The bountiful waters surrounding South Georgia are also inhabited by an increasing number of whales. The historical whaling station of Grytviken is now home to the excellent South Georgia Museum managed by the South Georgia Heritage Trust. This is also the final resting place of Ernest Shackleton, the legendary polar explorer. 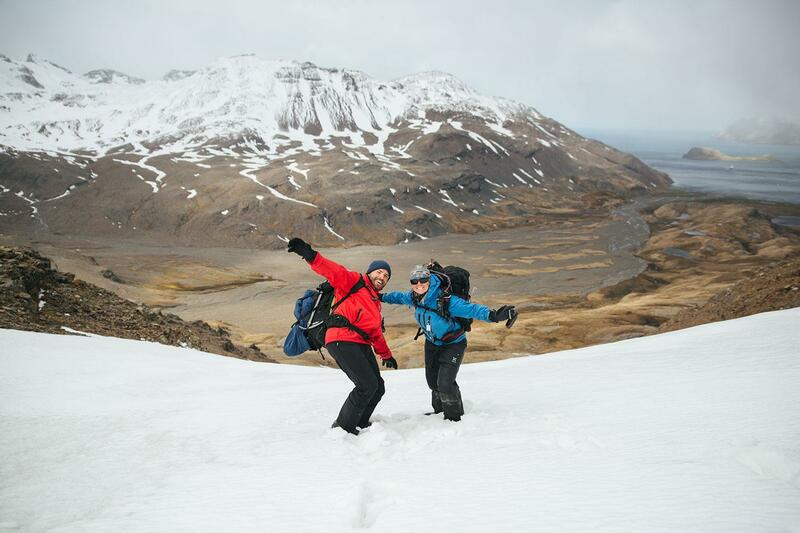 This is expedition cruising at its most authentic. Our route and exploration opportunities in South Georgia are dependent on the weather conditions we encounter. Our experienced captain and expedition leader decide the itinerary and continually adjust plans as conditions and opportunities warrant. You can be sure that the best possible advantage will be taken of the circumstances presented to us by Nature in this wild and remote corner of the world. We take every safe opportunity to go ashore in this amazing place. 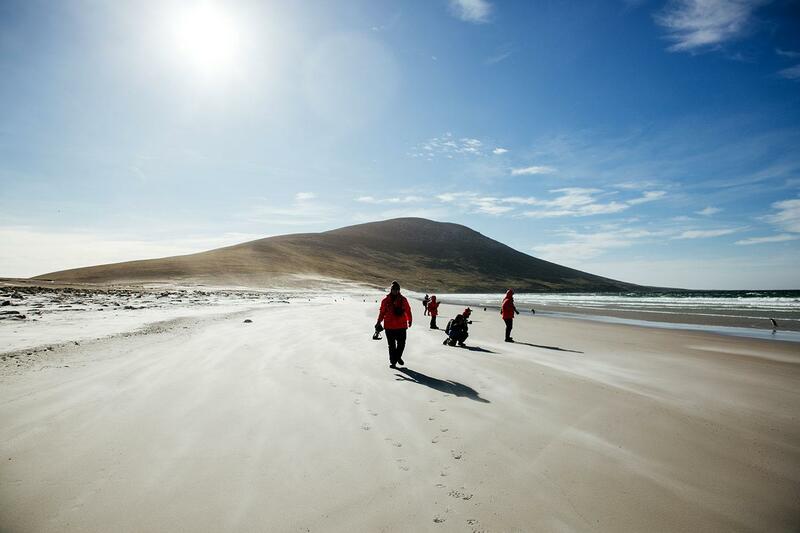 We also hope to offer a hiking expedition over part of the famous “Shackleton Walk” from Fortuna Bay to the abandoned whaling station at Stromness. Our days in South Georgia are filled with meaningful activities, presentations by our experts, and enough incredible scenery and wildlife to fill your camera and overwhelm your emotions. Day 15-16: Southern Ocean After a memorable time in amazing South Georgia we proceed southwest toward the Antarctic Peninsula. Pelagic seabirds including the majestic wandering albatross are common in these waters and can readily be viewed from panoramic open decks or from exterior stateroom windows and balconies. 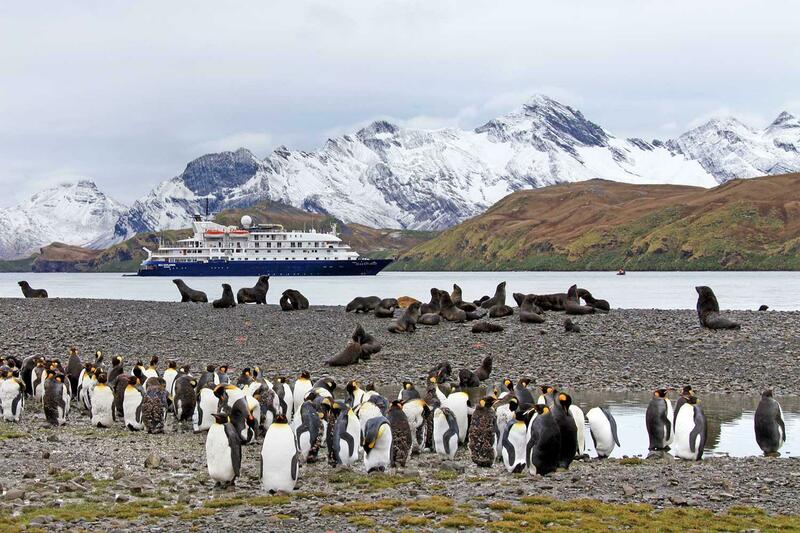 Day 17-21: South Shetland Islands and the Antarctic Peninsula The Antarctic Peninsula region contains some of the world’s most impressive scenery and wildlife viewing opportunities. Ice-strewn bays and channels are surrounded by towering mountain peaks covered in permanent snow and immense glaciers. Icebergs of every size and description complete an image of incomparable beauty. Waters rich with krill are home to a variety of whale and seal species. 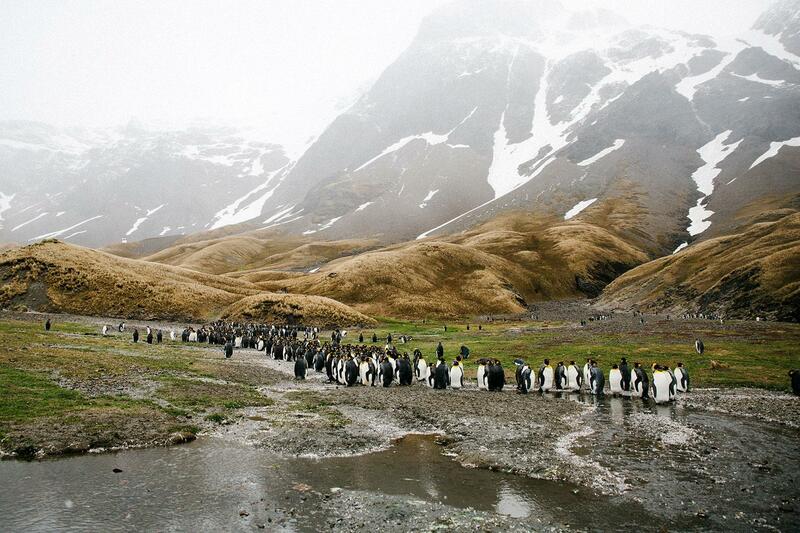 The whole area is alive with penguins foraging at sea and forming large nesting colonies at special places on land. Antarctic research stations of various nationalities can also be found here. The South Shetland Islands are the northernmost islands in Antarctica. This wild and beautiful island chain contains numerous landing sites rich with wildlife, fascinating geology, and historical significance. Our first encounter with Antarctica will likely be Elephant Island, where men fr om Shackleton’s famous Endurance expedition spent the winter. We also hope to visit Deception Island, a flooded but still active volcanic caldera containing the remains of a derelict whaling station. The Antarctic Peninsula itself contains sheltered bays, abundant wildlife, and fantastic vistas of mountains and glaciers. Weather and ice permitting, we plan to spend a day in the vicinity of the peninsula with the hope of making a landing on the continent of Antarctica. Antarctica is a true wilderness and is subject to unpredictable weather and ever-changing ice conditions, which dictate our route and exploration opportunities. This is a real expedition wh ere we exploit every opportunity to experience excellent wildlife viewing, amazing scenery, and Zodiac excursions. Day 22-23: Drake Passage & Beagle Channel From Antarctica we head north through the Drake Passage toward South America, always on the lookout for marine mammals and rare seabirds. Finally we enter the famous Beagle Channel between the Argentine and Chilean sides of Tierra del Fuego. Day 24: Disembarkation in Ushuaia, Argentina After breakfast we say farewell in the city of Ushuaia, the southernmost city in the world. We provide a group transfer to the airport or to the town center if you wish to spend more time here. 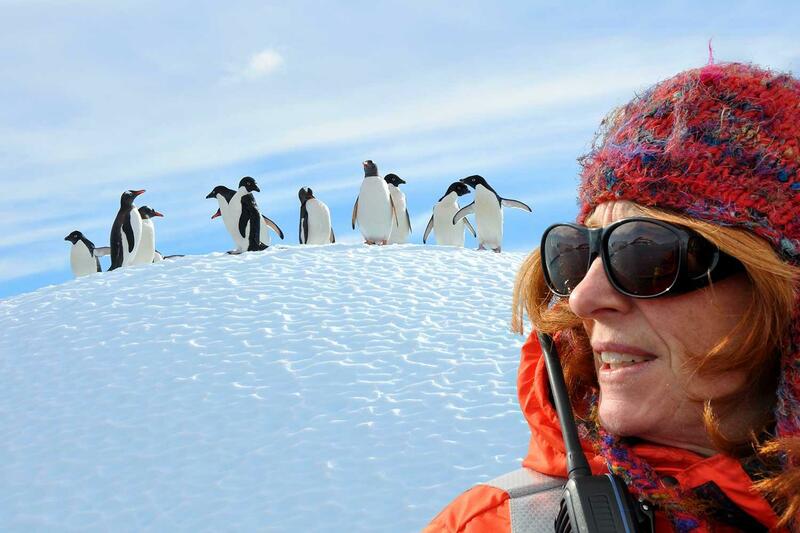 As you look back on your wonderful experience in the Falklands, South Georgia and Antarctica, you may already be looking forward to your next incredible adventure to the ice!